The most musical of Russia’s cinematic events, the Beat Film Festival will take place in Moscow for the ninth time from May 31 to June 10. The festival showcases documentary films about the world of music, contemporary art, media, street culture, sports and new technology. 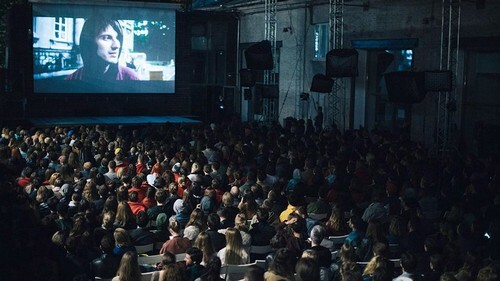 It will screen more than a dozen full-length films and many shorts in various programs, including one to support Russian film directors, and hold all kinds of events — meetings with filmmakers, discussions, and parties. “Grace Jones: Bloodlight and Bami” by British director Sophie Fiennes will open for the Beat at Strelka Institute on May 31. It’s not a biopic in the usual sense, but insight into modern-day life of the iconic singer, model and actress. Fiennes followed Jones, who just turned 70 years old, around the world and documented her concerts and after-parties in Dublin, Moscow and her homeland of Jamaica, showing her as an artist, grandmother and entrepreneur. “’Bami’ is traditional Jamaican flatbread, while ‘bloodlight’ is the red light that lights up when an artist is recording. On stage Grace is free as a hippie, while off stage she’s a tenacious businesswoman. This reflects her many-sided character,” Nastya Gulenkova, communications manager of the festival, told The Moscow Times. The film will be followed by a DJ set of artists to be announced. “In the music program, I’d really recommend ‘Shut Up and Play the Piano,’ about pianist Chilly Gonzales who performed at the five-year anniversary of the Solyanka club and got a Grammy for his work on the latest Daft Punk album,” Gulenkova said. In the film Gonzales tells about his work collaborations and his Jewish father who arrived in Canada from Hungary penniless and made a fortune in a construction business. A Q&A session with the movie’s director Philipp Jedicke will take place after the screening at the Oktyabrsky Theater on June 9. 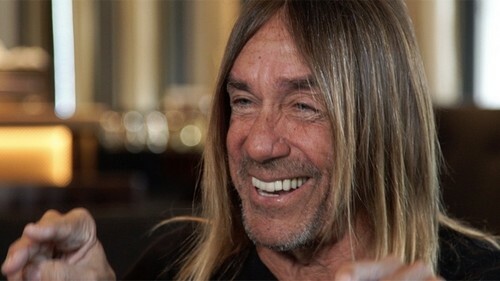 For rockers there’ll be a chance to remember Iggy Pop this year when his favorite band, Sleaford Mods, stars in a documentary called “A Bunch of Kunst.” Critics call the duo from Nottingham the last standing punk band. They became famous when they were in their forties thanks to their uncompromising attitudes toward popular culture and the last generations of “great bands.” Ten years after they formed their band, Christine Franz shot a movie about their unlikely success story with a name as provocative and angry as their lyrics (“Kunst” is art in German). Italian disco music will be celebrated on June 9 at Strelka, where veteran DJ Beppe Loda will play. His set will follow the film “Italo Disco Legacy” by Pietro Anton, which investigates the roots and influences of the genre. The festival is in tune with the year’s news agenda and features a program called Grrrl Power that presents the diversity of women in the modern world. “Skate Kitchen” is the story of a New York all-girls skate gang, which was well-received at the last Sundance Festival. It portrays a generation of millennials who never lose hold of their smartphones even while skateboarding. Jaden Smith, son of Will Smith, is the only professional actor here. “Matangi/Maya/M.I.A” by Steve Loveridge shows the life of the namesake pop star through her own early video recordings, family chronicles and interviews of people who knew her. The film got a special jury prize at Sundance. “Silvana” by Mika Gustafson and Olivia Kastebring tells the story of a Swedish female rapper who combines a successful musical career with campaigning for sexual minorities and against xenophobia. The Beat Festival has a rich program to support contemporary Russian filmmakers. Ten movies of national directors will be shown; seven of them will compete for a prize. One favorite is “50” by Tikhon Pendyurin and Daniil Zinchenko about actor and musician Sergei Pakhomov, who became famous after taking part in “The Battle of Paranormalists” TV show. Another contender is “Hey, Bro!” a debut by Alexander Elkan about twenty-somethings in Moscow who fill their lives with skateboarding, rap music and not much else. Another highlight will be “Let It Soul” by Kirill Kulagin on how the band Soul Surfers from Nizhny Novgorod meets their idol, Shawn Lee in London to record a track together. The film was made with support from Levi’s, which will bring the Russian band together with Shawn Lee at La Boule Cafe in Gorky Park on Fri. June 1. The screening will begin at 9:30 p.m. and the concert will start afterwards. Both are free. Like last year, there will be programs dedicated to sports, the future of marketing, and contemporary art in collaboration with Garage Museum and other groups. Don’t miss the premiere screening of “Social Animals,” a movie about how millennial kids are growing up with and inside Instagram and how it shapes their lives. It’ll start with a public discussion with “Russian top bloggers” whose names are still being held in secret. A special VR (virtual reality) program will include three focus areas: VR Visual Arts, VR Music and VR Interactive. Organizers have announced a special screening of “Isle of Dogs: Behind the Scenes” where Scarlett Johansson and Bill Murray will speak about their characters in the film. Another must-see is “Inside Trump’s Head,” which displays the president’s internal “fire and the fury” like a livestream. The time and place of these events is to be announced. Films will be shown in their original languages with Russian subtitles; the Russian films will be without subtitles. The full program of the Beat Film Festival can be found on the official website.